It was last summer that two different friends of ours blessed us with an abundance of pears. 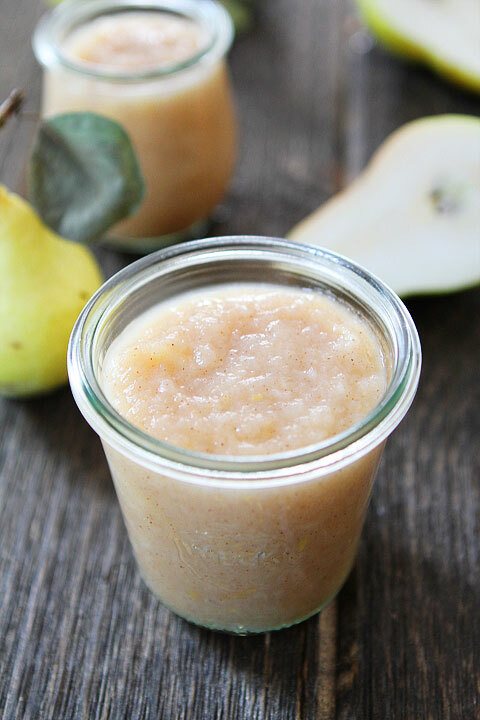 At first it was a little overwhelming, but I did some research (aka Pinterest) and decided to give this a try — “pear sauce”. I didn’t want something complex or one of those recipes for the “elite homemaker” (if you know what I mean), and this recipe is fantastic 🙂 Gluten free, Dairy Free, Egg Free, Sugar Free, Soy-Free, You-Name-It Free, this only has 4 ingredients! Combine all of ingredients in large pot. Bring to a boil on high heat, then reduce to med-low heat, and simmer for 25-30 minutes. Smash/Mix pears occasionally. Take off the stove and let cool for awhile. Put in blender and mix well, leaving no pear chunks.